Hello Desmund, awsome axe and rig, question though? what peice of gear is that seated underneath your Epi head? That's a Peavey digital power amp. I think it puts out 700Wrms? Proud original owner of a 2001 Ken Smith BSR4EG lined fretless. Yes it is a Peavey DPC1400X power amp that I run bridged - it's putting 1400 watts into that 4 ohm cab. Ah yes, 700 per channel, 1400 bridged.. I couldn't remember the specs for that puppy. I wanted one several years ago but couldn't afford to upgrade from my existing rig. PS: Hello Gareth nice to see you here too. Do you guys know that I have a collection of *olde English Double Basses (c1775-c1830) and still have one of two English *Bultitude Bows (1962 and 1964 make) as well (*Former Hill shop maker). It's nice to know that I have a British following as well as me having an affinity for the English Violin making school of yesteryear. Hey Dave, fancy seeing you here Good luck in selling the TN6 I wish it could be mine. I should get get Ari and Gwylim from BW on here too, Ari's got a lovely TN5. Ken have you seen the collection of instruments at the Victoria and Albert Museum in London yet? No, I barely get out for lunch much less out of the country. At the rate I am going, they will be sending people to view MY collection before long..lol.. Not.. But I wish..
Well, if you ever make it over there, they've got on display the giant 3 string double bass which was owned by Dragonetti and made by Gasparo da Salo. Allegedly it was used for performances of Handel's Water Music - its a complete monster. I can't begin to imagine what a performance on one of those must have been like. Yes I have heard that before since about 40 years ago when I bought the Elgar books where the museum is mentioned along with one of Dragonetti's Basses. I think I have seen some pics posted as well on line taken recently inside the display area of the Museum. Thanks for the reminder, I'll keep it in mind if they ever let me out..
Can we expect a Smith double bass any time in the future? There have been Basses made in the UK 19th century by a Smith as there are a few listed that were violin makers BUT, as far as me goes, Nope! I like my old Basses mainly as my personal preference. 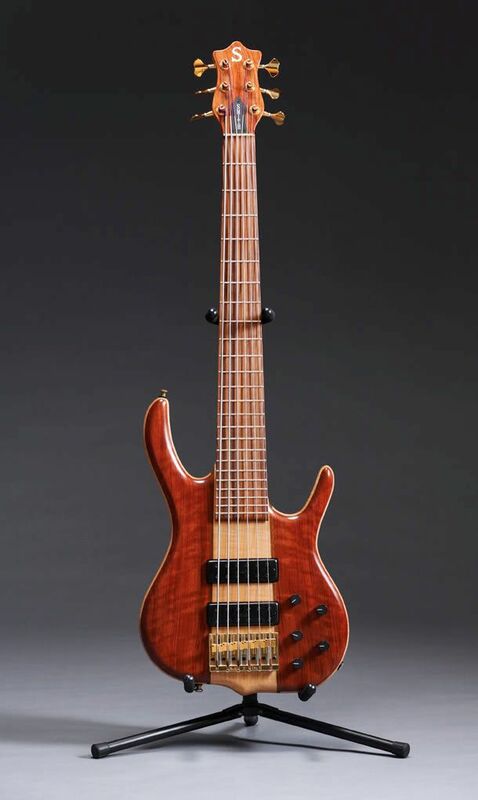 If I want a newer Bass, there are some great makers out there already doing it like Arnold Schnitzer and Jeff Bollbach which did make a beautiful Lion's head Bass which by chance, I now own. This is my 99 Bsrb6 that I am refinishing. I bought it used and decided to give it a new look and sound . I upgraded the Burner pickups and Circuit to Smith flat top pickups and a new 18v Circuit. Here are some before and after pics. This definately is my fav and main bass now. Here are a few shots of my four string (Tiger Wood obviously) with the 18 volt system nicely fitted inside. Last edited by Albert Smith; 03-05-2007 at 11:03 AM. Does your '05 BSR6P have the 18 volt system or the 9 volt? 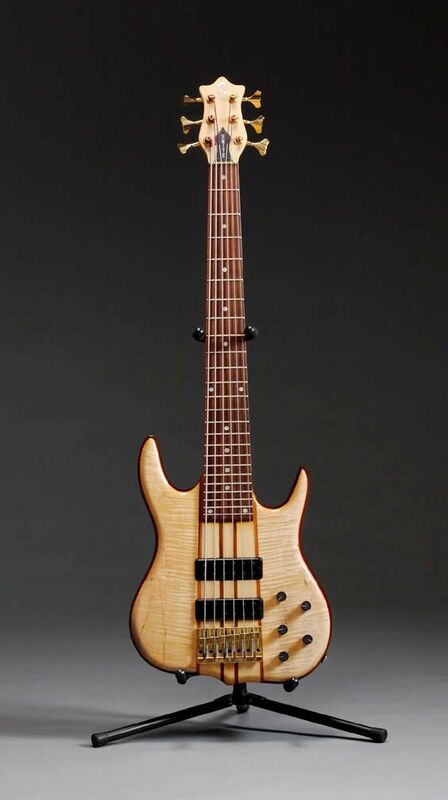 Either way the wood is beautiful, was the bass created especialy for you by Ken, or did you aquire it else where? Last edited by Albert Smith; 03-05-2007 at 11:02 AM. My first post, so hello all! At the moment I have just one Smith, a BMT Elite G from 1994. Gareth, very nice, do you have a backside shot of that bass? Glenn, do you have a shot of the backside of your BT6G? LOL! As tempting as it would be to respond to that, I'll force myself to refrain...LOL! : ) I would like to see it if possible. Had a girlfriend huh? Hmmm, hope it didn't end over a "backside" issue! LOL!